We have done all the calculations and pre-testing in machines and now its time to to send the new Level 4 design axles out and show how they work. The axles took a bit longer to make but we wanted to make sure the outcome was worth the wait. 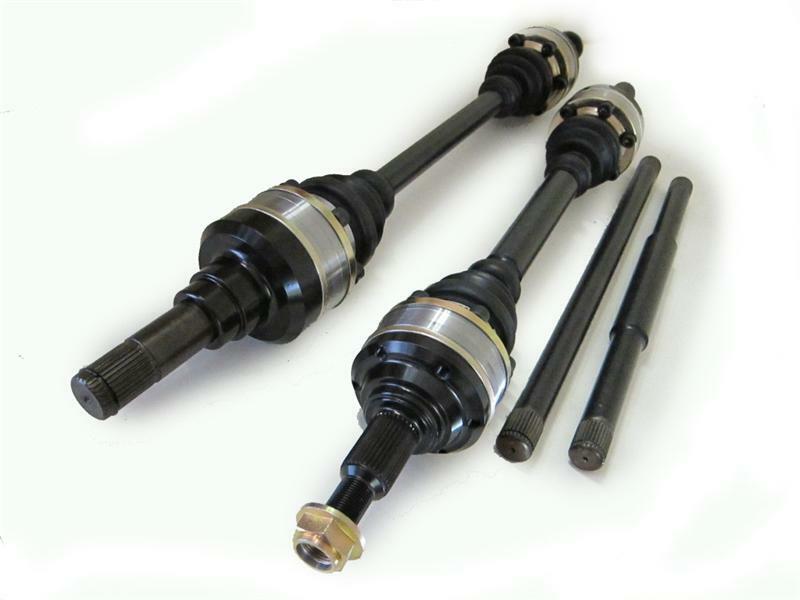 We had realized that a lot of people were buying the 1400HP axles that are unbelievable in strength but not exactly designed for a daily driven car. Sort of like a Drag Slick, great on the track and does what its supposed to but you would not go get groceries with them on a daily basis. We then wanted to be able to go back to the Anti-Wheel hop design but know that one thicker bar would break and we wanted to take the time to figure out how to get an axle with more torsional resistance than a straight bar but not to the point that it caused an issue with it. After much work and testing we came up with this new design. So there we have the completed product with new design outer mounting, ends are E-coated and the center of the axle Powder coated in our in house system. The CV will not only have a stronger or harder inner race but also have the Chromoly cage adding extra strength to the system. We have re-developed the Anti-Wheel hop design to be able to ensure the axles will help with the issue but also be higher torque friendly for cars that will punish them like they are bought for.